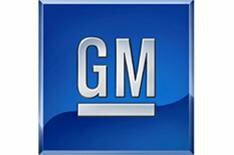 GM to sell off heritage cars | What Car? In another sign of hardship in the motor industry, General Motors has said it plans to auction off cars from its heritage museum early next year. The hammer will fall on 50 cars from the manufacturer's museum in Arizona from January 13-19. Most of the cars car from the 1980s nad '90s, but a 1904 Oldsmobile Touring, Bill Clinton's presidential limo and a car used by the Pope in 1998 are also on the list. Most manufacturers maintain a fleet or museum collection of its past models. It is sad to see a cash-strapped company selling them off.